This is the Paul Revere Monument. This bronze statue shows Paul Revere on horseback. Contemporary stereo view by the Florida Center for Instructional Technology. 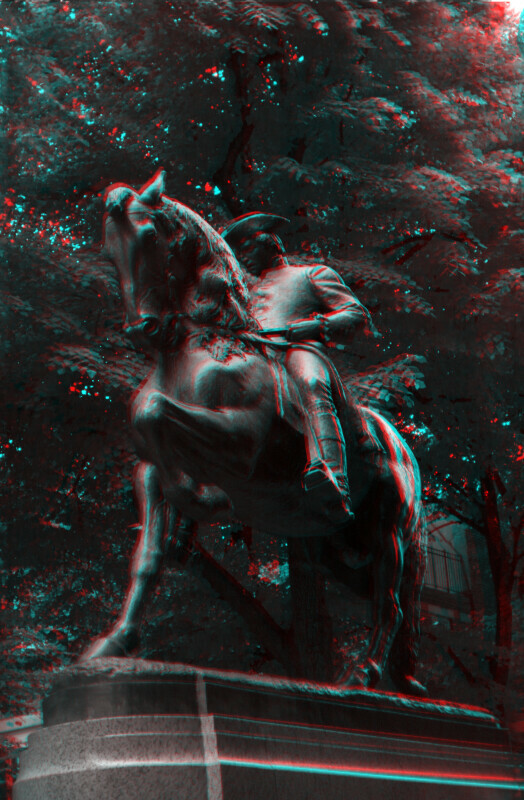 View this image using 3D glasses with the red lens over the left eye and the blue (cyan) lens over the right eye. This image is also available as a standard 2D photograph. WARNING: You are about to download a 16.3 MB TIFF!